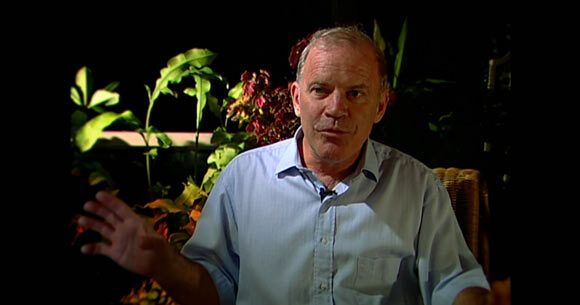 Kary Banks Mullis is an American biochemist who won the Nobel Prize in chemistry in 1993 for his contribution towards the improvement of the PCR technique used in DNA testing. Mullis was born in 1944 to a farming family in North Carolina. He grew up in South Carolina, where he attended Dreher High School. He did his Bachelors in chemistry in 1996 from the Georgia Institute of Technology in Atlanta. He got married during his Bachelors and started his own business. He has since been married three more times and has three children from two of his ex wives. In 1972, he received his Ph.D. in biochemistry from the University of California, Berkeley where he focused his research on the structure of bacterial iron molecules. After his Ph.D. he became a fellow in pediatrics at the University of Kansas Medical School, where he worked for two years. After his Ph.D. Mullis briefly dabbled in writing fiction but soon quit that to become a biochemist. For two years after that, he ran a bakery but again returned to science at the request of his friend Thomas White, who also got him a job with a biotechnology company called Cetus Corporation. Here, Mullis worked as a DNA chemist for seven years. It was during this time that he conducted his prize winning research into the PCR technique. His inspiration came to him in 1983 when he was driving with his girlfriend one night, who was also a researcher at the same company. The two of them had an idea that would allow them to copy sequences of DNA and amplify it. This was later to become the customary practice used in molecular biology labs. Mullis’ employer let him focus exclusively on this project. As result he was successful in his efforts and was able to demonstrate the results on December 16, 1983. Cetus designated a team to work towards the perfection of the PCR process; Mullis was responsible for documenting his results whereas others including Randall Saiki and Henry Erlich worked towards perfecting and testing the phenomenon. One drawback of the procedure was that the DNA was destroyed due to the application of heat as part of the process. This method was improved by Saiki, who developed a procedure to make it heat resistant which made it more affordable and easily replicated. There has been some controversy surrounding Mullis’ receipt of the Nobel Prize. Many of his coworkers and peers thought that he did not deserve the credit alone. At least part of his research stemmed from the prior work done in this field by two Nobel laureates, namely H. Gobind Khorana and Kjell Kleppe. They had published a paper with similar findings seventeen years earlier describing a process that they had termed “repair replication” in the Journal of Molecular Biology. Although the process described by Mullis was unique, his ideas took root from their original research. Another factor for discontentment was that his team had also worked with him, and they felt that at least part of the credit went to them and the company. Upon the receipt of the Nobel Prize, Mullis was awarded a $10000 bonus. Cetus eventually sold the patent to Roche Molecular Systems for $300 million. Mullis left the Cetus company in 1986 and joined Xytronyx, Inc. in San Diego as the director of molecular biology. Mullis’ personal life and views have often been the subject of controversy. He has openly admitted to LSD use and even suggests that it helps his thought process. Another controversial area is his views surrounding climate change and the fact that HIV virus causes AIDS. He believes that these are conspiracies propounded by environmentalists and government agencies to make money. Mullis currently lives in California with his wife Nancy and serves as a Distinguished Researcher at Children’s Hospital and Research Institute at Oakland.